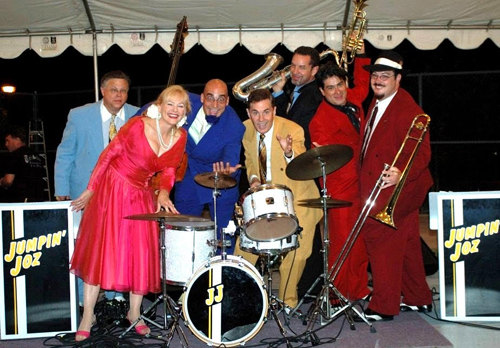 Jumpin’ Joz is the swingin’est band in Southern California. Their style is a wonderful combination of Count Basie, Louie Prima, Benny Goodman, Sinatra, Ella Fitzgerald and Louie Jordan. Their music is great for listening as well as dancing. The band has a growing following of dancers from young to old. They not only have a great, swingin’ sound, but also an incredible show that includes a vintage stylized feel.